Homes | Safe Together Healthy Free | Omaha, Nebraska | Release Inc.
Our group homes specialize in the needs of teenage clients, housing them in a family environment where they receive individualized treatment. Each year the state spends millions of dollars caring for youth in need of group homes, foster homes or other institutional care. Some of these youth must even be sent to out of state facilities due to the lack of appropriate facilities in Metro Omaha. Release has a vision for youth, offering them an opportunity to live in a loving family environment while addressing the core issues that placed them in the system to begin with. This unique and highly effective approach combines traditional residential care, individual and group therapy with the modeling of a healthy Christian family and offers youth the opportunity to learn life skills and prepare for independent living. The gender-specific homes are currently for girls ages 13 to 18. Participation in the Release Homes is voluntary for youth, but we require those who do come to make a personal commitment to grow and change. Release currently has two homes open. Cooking, Shopping, Hygiene, Driving, Self Advocacy, Interpersonal Communication Skills, Time Management, Basic Home / Automotive Maintenance, Parenting, Banking, Budgeting, Financial Management, Computer/ Technology training. We utilize CASEY Life Skills Assessment as well as specialized volunteer trainers with personal experience. On site housing, Apartment/ Dormitory search, Apartment furnishing. YMCA Membership, Nutrition, Outdoor activities, Sports participation, Basic First Aid Training, Assistance with navigating healthcare system (including low cost alternatives) while living in the community. Assist mental health professionals with reports/ input as well as monitoring medication and participating in family/group sessions when appropriate. Intense Independent Living Training, Emphasis on youth building healthy family relationships, Safe environment open to clients returning, Alumni Ski Trip, House events, Continued support after graduation. Employment training, Employment search assistance, Networking with other employment assistance providers in the community such as Workforce Development and Youth Partnership (79% of the youth in our program have found employment), provision of transportation to and from work. Assist with education needs/ Desires, Traditional high school, Alternative high school, GED, College, Vocational Training, Tutoring, Literacy training, Educational Advice and Proofreading for youth that have transitioned, College Search and visits, Financial Aid assistance. Self Advocacy training, Emotional development, Assistance in finding hobbies/ pursuing interests, Specific skill training (time management, group/peer interaction, conflict resolution), Celebration of goals reached and personal achievements. Opportunities for community service and involvement, participate in community events, Networking with other resources (Youth Partnership, Alcoholics Anonymous, High school groups and clubs such as FBLA). Availability of church and other faith based opportunities, Strong ties with a youth mentoring program. Cooking, Shopping, Hygiene, Driving, Self Advocacy, Interpersonal Communication Skills, Time Management, Basic Home / Automotive Maintenance, Parenting, Banking, Budgeting, Financial Management, Computer/Technology training. We utilize CASEY Life Skills Assessment as well as specialized volunteer trainers with personal experience. 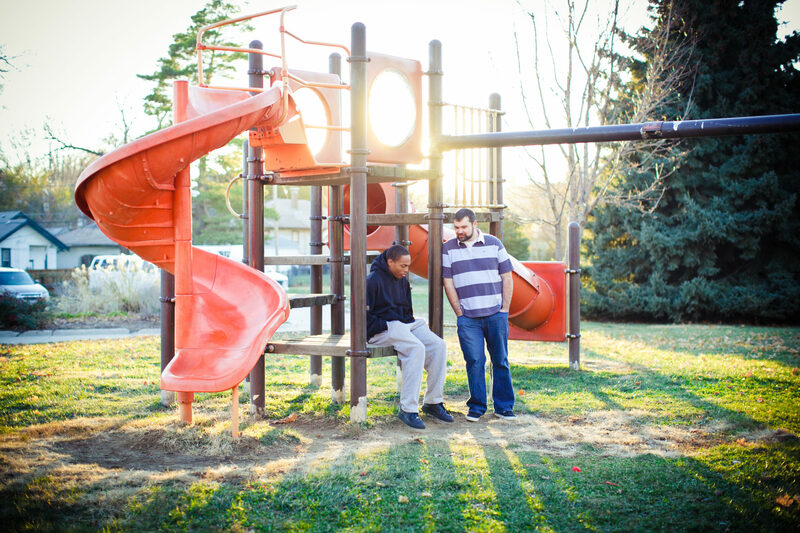 Release Homes have been serving the teen population of Douglas and Sarpy counties since 2005. In 2017, we began our Intensive Residential Behavioral Intervention Program, adding individual and group therapy to the variety of services we offer the youth in residence. We specialize in the needs of older teenage clients (ages 15-19). Our program addresses the critical areas of emotional stability, educational success, job preparation/ work readiness, and daily living skills that enable youth to transition to independent living. Release currently has two homes open for girls. For more information or to inquire about placement availability please contact Rachel at rachel@releaseministries.org or fill out the contact form below. We are currently looking for house parents for our group home! Employment applications can be downloaded HERE.